Does Harry Potter Support Witchcraft? Does Harry Potter Promote Wicca or Witchcraft? Is Harry Potter a pagan book? The Harry Potter books written by J.K. Rowling have sustained a consistent attack from the Christian Right because of how they portray witchcraft. According to Christian critics, the Harry Potter books encourage children to accept a view of witchcraft that is benign, even good and thus will lead them to adopt some form of paganism or Wicca. Christians naturally object to this and thus protest the presence of Harry Potter in schools, libraries, and society generally. According to Karen Gounaud, president of Family Friendly Libraries, the Harry Potter books contain “a great deal of symbolism, language, and activities honoring witchcraft.” This perspective is shared by many Christian critics of the Harry Potter books who see them as nothing more than attempts to popularize witchcraft. Christians argue that the Bible is unambiguous in its condemnation of witchcraft and demand that followers of God completely disassociate themselves from the practice of magic. The Harry Potter books make witchcraft and the practice of magic seem appealing and fun; therefore, parents shouldn’t allow their children to read them. This particular issue is the source of most Christian Right complaints and protests against the Harry Potter books. Christians who express nothing but disdain for the separation of church and state when it comes to the government promoting Christianity suddenly become staunch defenders of the principle, arguing that schools are inappropriately promoting religion when students are encouraged to read Harry Potter. Regardless of whether they are hypocritical or not, though, it would matter if they are right because schools can't encourage students to read books that promote a particular religion. The American Library Association listed the Harry Potter books as the most challenged books in America in 1999, 2000, 2001, and 2002. It was second in 2003 and disappeared from the list in 2004. Most people tend to regard censorship as a bad thing, but if the Harry Potter books really do promote witchcraft then perhaps there hasn’t been enough challenges. On the other hand, if the Christian Right is all wrong in their assessment of Harry Potter, then it is their efforts to suppress the books which should be challenged. If the Harry Potter books don’t promote witchcraft, but merely include witchcraft as part of the fabric of a fantasy world, then complaints are less about the books themselves than about something else — the larger secular culture, perhaps, where books about witches and wizards are more popular then the Bible or Christian literature. J.K. Rowling has denied that she is using the Harry Potter books to promote witchcraft, but she says that she doesn’t believe in witchcraft “in the sense” that critics complain about and that she doesn’t “believe in magic in the way” she describes it in her books. This leaves open the possibility that she does believe in witchcraft and magic in some other sense. Her ex-husband has stated that Rowling’s plan to write 7 books is based on her belief that the number 7 has magical associations. The mixing of reality and fantasy in Rowling’s books is dangerous. Other literature certainly uses witches and wizards as characters but they are either “evil” characters, they clearly exist in an unreal world, and/or they aren’t human beings. The world of Harry Potter, however, is supposed to be the same as our world. Witches and wizards are mostly good, positive characters, and they are all human beings. The Pagan Federation in Britain has reportedly appointed a special youth officer to deal with the flood of inquiries from children who love the Harry Potter books. Children have more trouble distinguishing reality from fantasy than adults; because the Harry Potter books appear so rooted in real life, many may believe that the magic in the books is real and will, therefore, explore witchcraft, Wicca, and paganism. Even if J.K. Rowling didn’t set out to deliberately promote witchcraft, she certainly sympathizes with it and those sympathies have led to her create a dangerous series of books that imperil the youth of today, threatening to lead them into satanic, evil practices. It is difficult to connect anything in the Harry Potter books with actual religious practices followed by people today or with witchcraft as it has been actually practiced in the past. J.K. Rowling has done a lot of research on what people used to believe, but not all of those beliefs were held by the same people at the same place and at the same time — in other words, many of the beliefs are disparate components of different systems and mythologies. This transformation of Rowling’s actual words into something radically different seems to be characteristic of how the Christian Right approaches the issue: take a small, harmless truth and twist it until it’s unrecognizable, but now supports your position. There’s a tremendous difference between studying things people “used to believe” and engaging in “personal studies of witchcraft/magick.” Abanes himself notes that “magick” is an exclusively religious word and, therefore, shouldn’t imply that it relates to ancient beliefs in centaurs or love potions. We don’t think that this tactic can be regarded as fair or honest, thus rendering the entire Christian case against Harry Potter little more than rhetorical sleight-of-hand. If the Harry Potter books are not promoting what actual witches do and believe, either today or in the past, then how can they promote “witchcraft”? In one interview, J.K. Rowling said, “People tend to find in books what they want to find.” That certainly seems to be the case with her own Harry Potter series of books: people who are looking for something dangerous easily identify material that threatens their religious beliefs; people looking for entertaining children’s literature find engaging and fascinating stories. Who is right? Are both right? 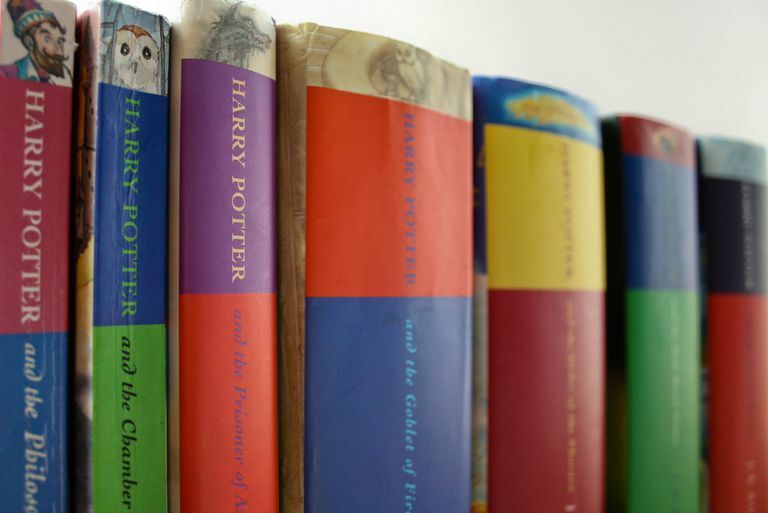 The case made by the Christian Right against the Harry Potter books only appears reasonable when they successfully twist words or superimpose new meanings on the language of the books which is not warranted by the text itself. Conservative evangelicals, for example, treat the character Dobby the house-elf as a demon because of their own personal definitions of an “elf” that is “impish.” This reading requires them to ignore what the text actually says about Dobby, though, which doesn’t describe him as demonic in the least. The Harry Potter books “promote” a fantasy world where witches and wizards exist alongside regular, “real” people. This fantasy world includes aspects of the world we all live in, aspects of ancient folklore and mythology, and ideas of witchcraft that J.K. Rowling herself has created. One of the ultimate achievements in fiction is to create a fantasy world that feels real to readers, and that’s just what J.K. Rowling has managed to do. This fantasy world does not “promote” witchcraft any more than it promotes going to centaurs for astrological readings, using three-headed dogs to guard your basement, or delivering mail to friends via pet owls. Similarly, Tolkein’s books don’t promote combat with trolls or stealing carrots from a local farmer. Such events are merely the fabric of a fantasy world through which entirely different things are being promoted — things that will be missed by people who are so obsessed with the fabric used that they fail to see the images being woven in it. How Wiccan Is Harry Potter? He's Just Not.